OPEN HOUSE SATURDAY MARCH 23RD 11- 12 O ' CLOCK. CALL TO MAKE AN APPOINTMENT NOW !! 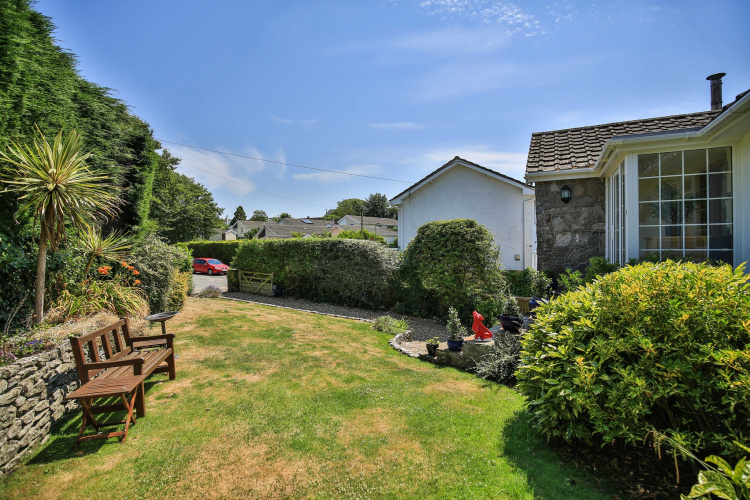 DESIRABLE AND DISTINCTIVE - detached property to the heart of Colwinston Village, with a short walk of both St Davids Primary School and The Sycamore Tree Inn. 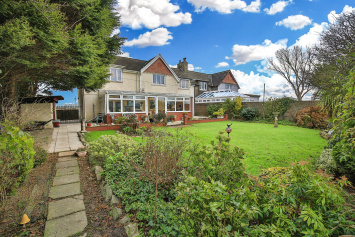 The current owners have modernised and refurbished the property to a high specification throughout. A most desirable and distinctive detached property to the heart of Colwinston Village, with a short walk of both St Davids Primary School The Sycamore Tree Inn and the infamous Village shop and Coffee shop. 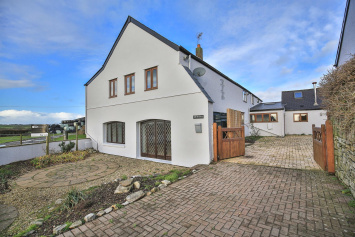 The current owners have modernised and refurbished the property to a high specification. The adaptable accommodation offers a good flexibility with entrance porch which opens into a hallway. 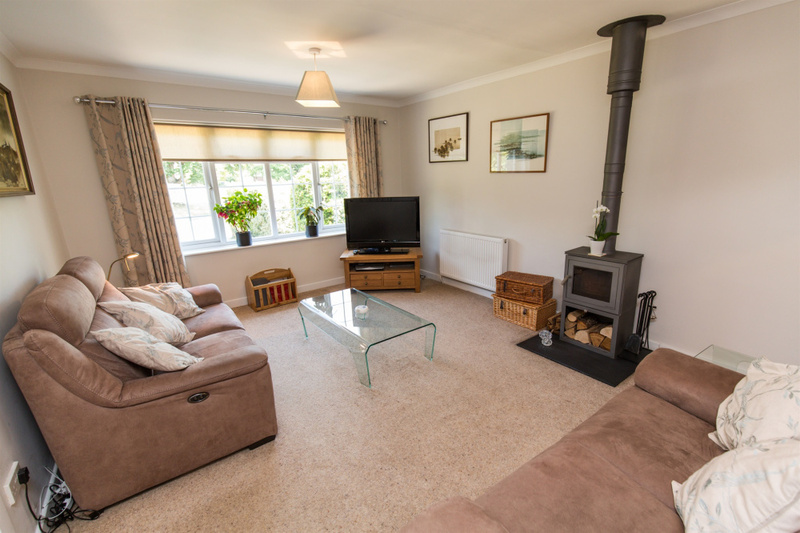 A large lounge with a window over-looking the front garden and features a contemporary 'Chesneys' wood burning stove. 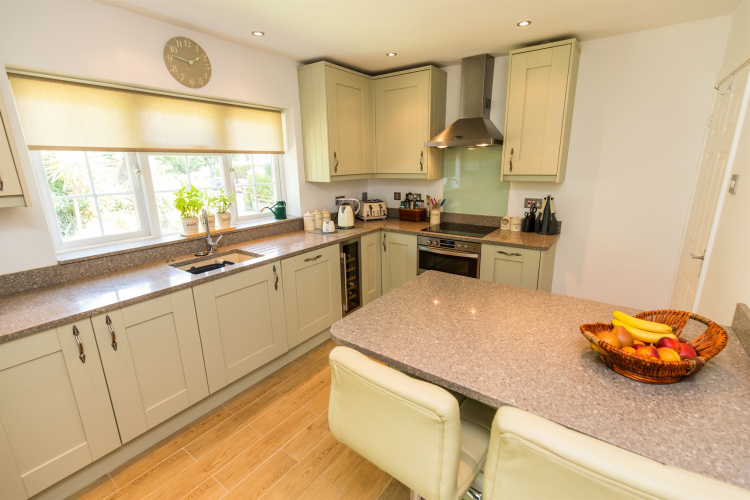 A superb modern kitchen includes granite-topped units and a matching breakfast bar, fitted oven and hob, integrated fridge-freezer, wine cooler, microwave and dishwasher. 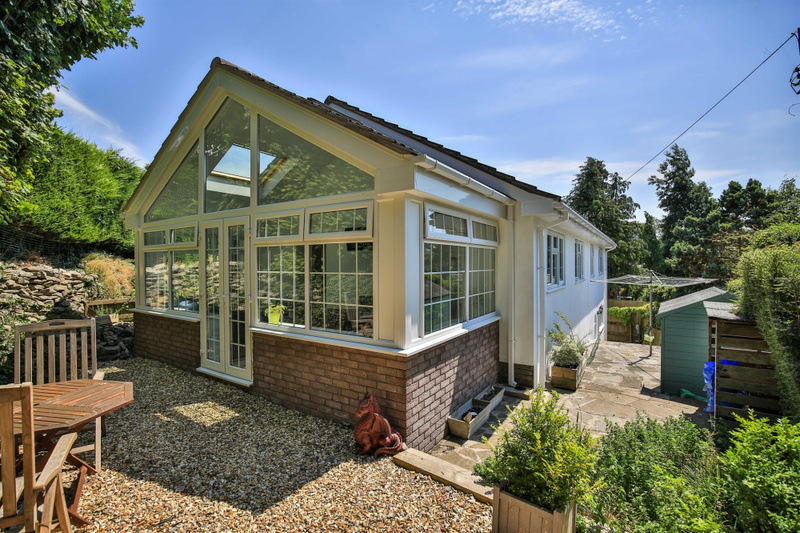 From the kitchen there is a superb orangery addition which offers as a family room and dining. 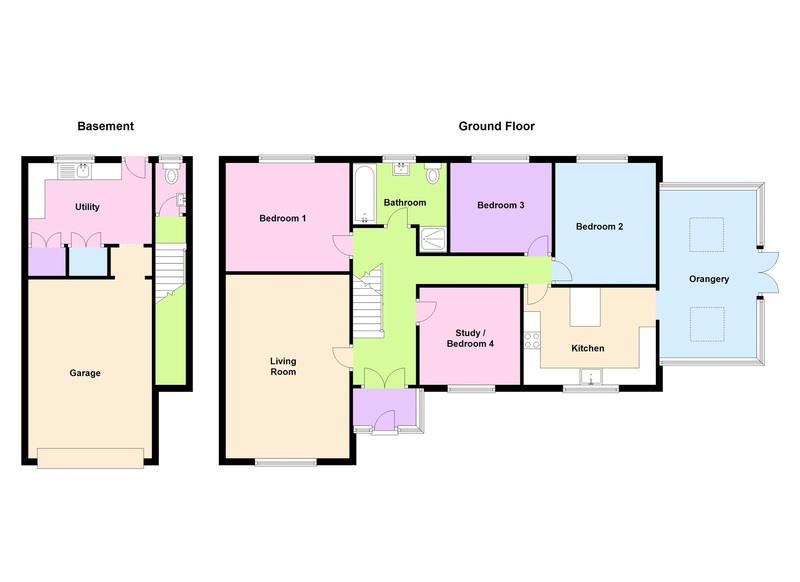 There are currently three double bedrooms, with the fourth used as a study. The large family bathroom has a panelled bath with shower over, low level w.c and a wash hand basin and an additional shower cubical. An oak banister staircase from the central hallway leads down to a lower ground floor cloakroom and separate utility / store room. 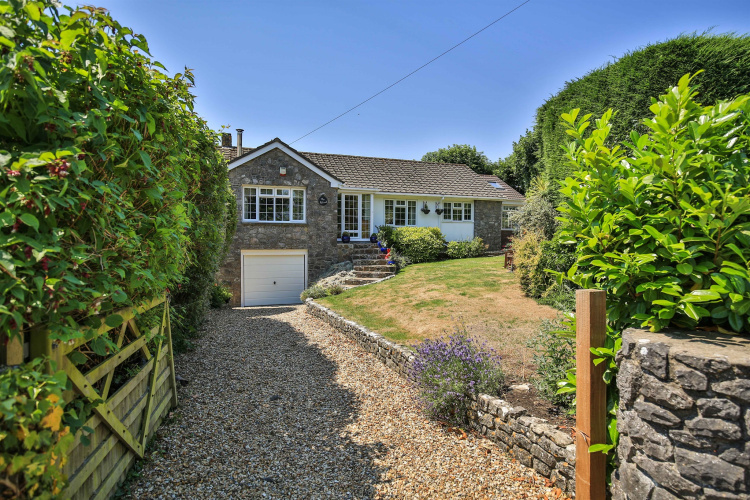 This large space has a door opening to the rear garden and a second door opening directly into the garage. Entrance porch with Pvc double glazed door and further Pvc double glazed windows. 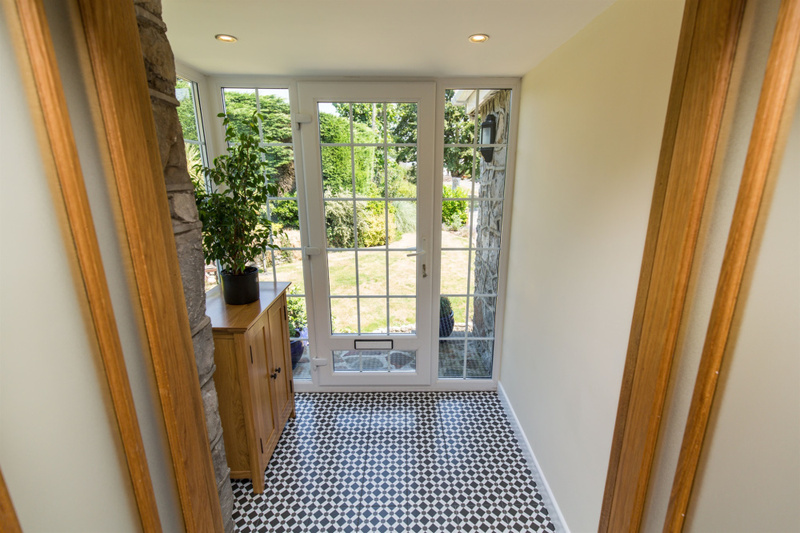 Tiled flooring and further double doors opening to the hallway. Hallway with carpeted flooring, stairs down to utility room, cloakroom and garage. Door to living room, door to study / bedroom four, door to bedroom one, door to family bathroom and further access to accommodation. A living room reception with Pvc double glazed window over-looking the front aspect. 'Chesneys' wood burning stove, carpet flooring. Pvc double glazed window over-looking the front garden, carpeted flooring. Laundry/utility room with an additional sink and drainer, plumbing for the washing machine, Pvc double glazed window and door to the rear garden. 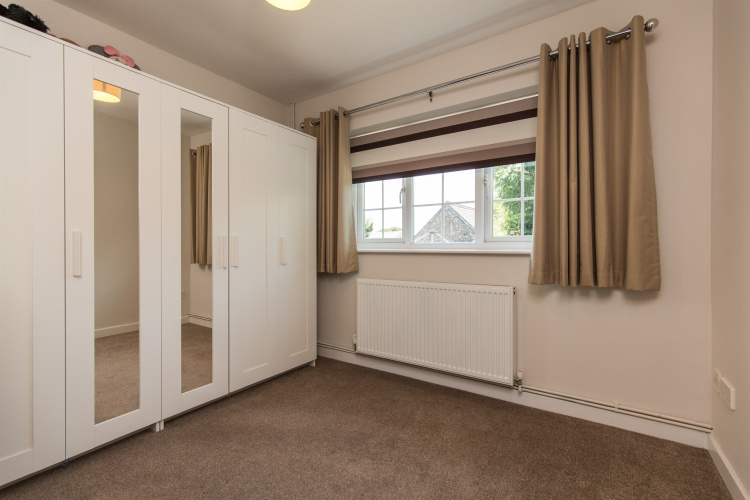 Further door to the downstairs cloakroom and door to the garage with built in cupboards for additional storage. Obscure window to the rear aspect, low level w.c and a wash hand basin. 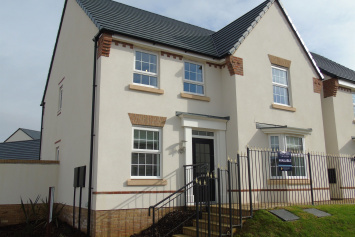 Accessed from the front of the drive with an up and over door, ample storage space with door to the utility room. A large double bedroom with a Pvc double glazed window to the rear aspect of the property. Carpeted flooring. 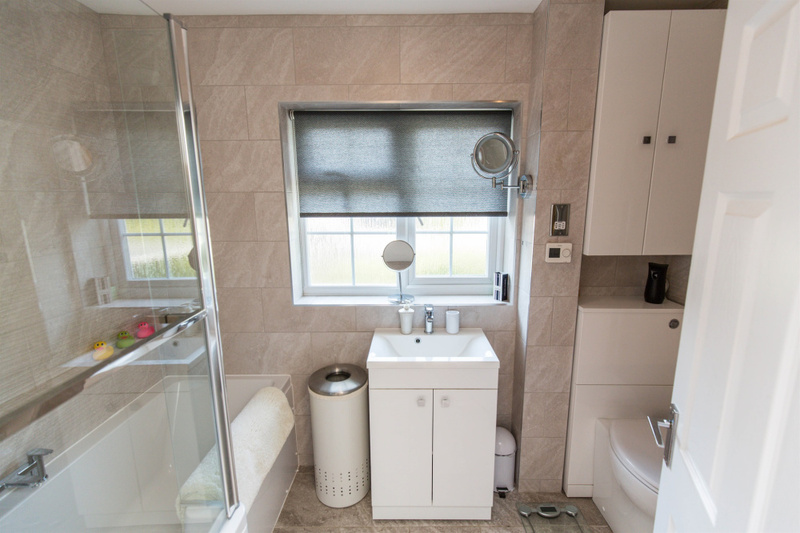 A luxurious bathroom fitted with a pannelled bath with shower over, low level w.c, sink and a fitted shower. Ceramic flooring and walls, obscure window to the rear aspect. 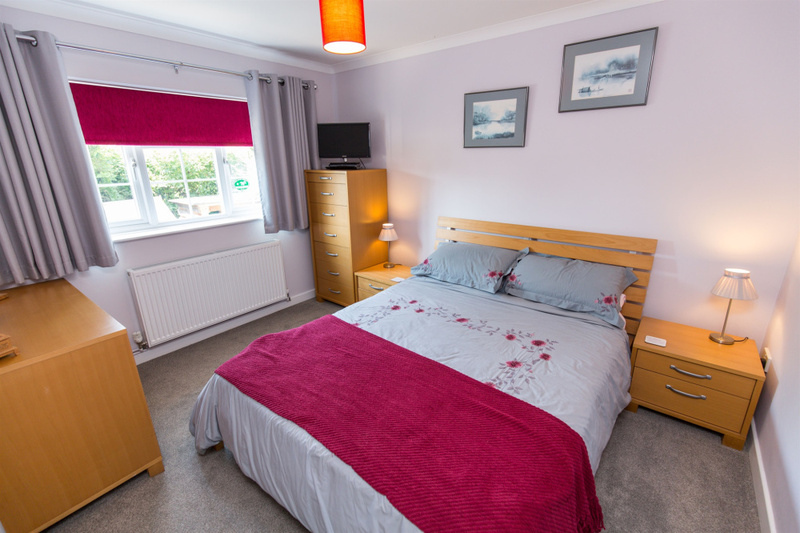 A double bedroom with Pvc double glazed window to the rear aspect of the property. Carpeted flooring. 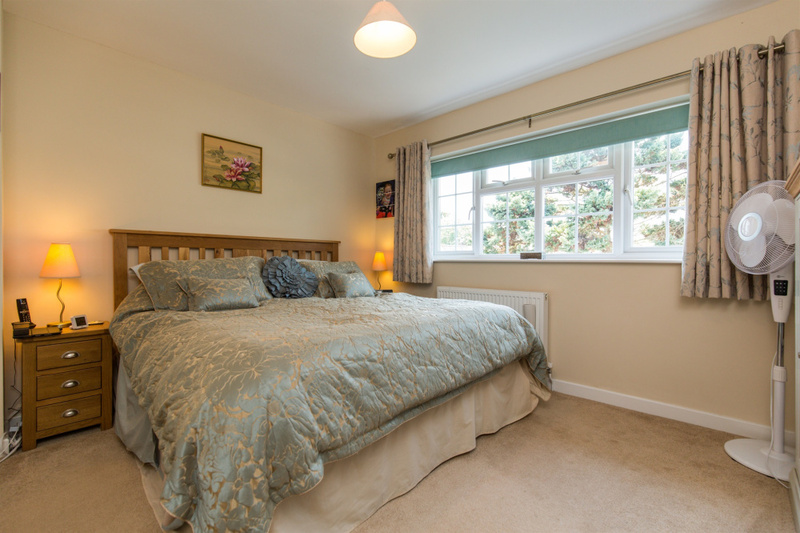 A good size bedroom with Pvc double glazed window to the rear aspect. Carpeted flooring. 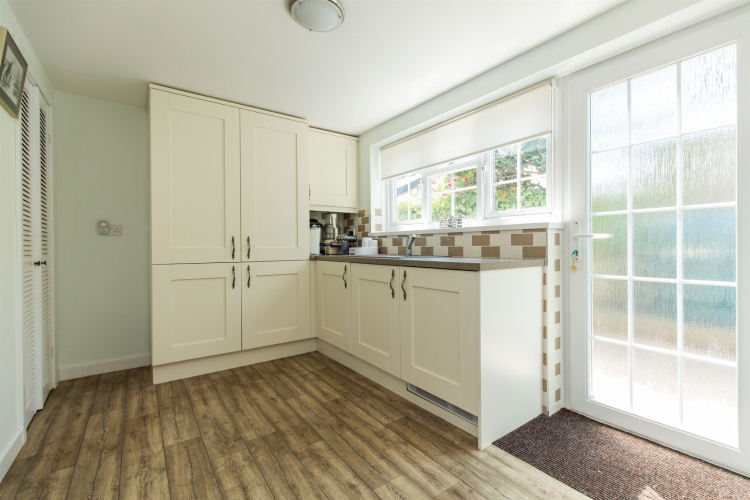 There are a wide range of wall and base units with ample granite work surfaces, double bowl sink beneath the window with outlooks of the front garden. Integrated eye level double oven and induction hob with a cooker hood above, integrated low level wine fridge, fridge/freezer, integrated microwave and a dishwasher. Additional breakfast bar with storage under and opening to the orangery. Newly built orangery which is used as a family room. 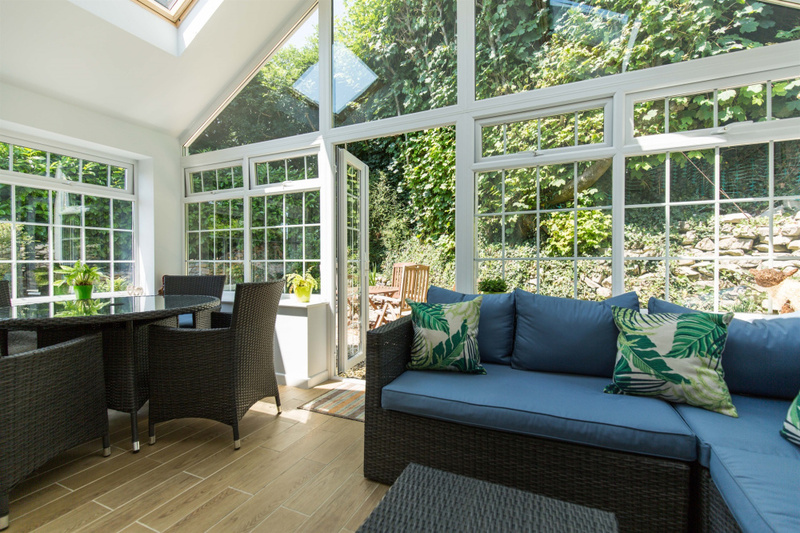 This additional space allows access to the garden and provides ample daylight with the a frame windows and two large velux windows on the roof. Off road parking for two cars at the front, wooden gate opening onto flint-chipped driveway and leads to the garage. Steps leads up to principal entrance doorway. There is bordering to the driveway and a good sized lawn garden running up to boundary wall and with its planted flower and shrub borders. There is a flint-chipped, sheltered area with a gate leading to the front garden and steps leading on to the sheltered, paved patio garden spaces to rear. This can be accessed from the lower ground floor.